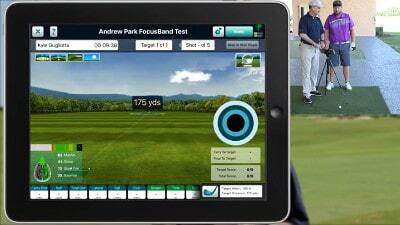 Golf Digest's Top 50 Teacher Andrew Park goes in depth on how he uses FlightScope and FocusBand in the newly integrated Skills app. He emphasizes how important it is to note exactly where his students exit the right brain (green) and enter the left brain (red) while they're playing. Andrew finds the break in concentration in his students and focuses on using various techniques to ease them into a relaxed state of mind. He finds that the most important aspect is that the student's pre-shot routine be exactly the same every time. By ensuring this, they are able to recognize what techniques work best to help them get into the zone.